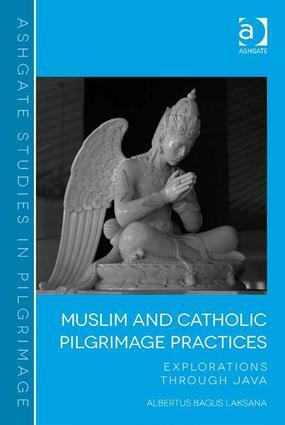 Exploring the distinctive nature and role of local pilgrimage traditions among Muslims and Catholics, Muslim and Catholic Pilgrimage Practices draws particularly on south central Java, Indonesia. In this area, the hybrid local Muslim pilgrimage culture is shaped by traditional Islam, the Javano-Islamic sultanates, and the Javanese culture with its strong Hindu-Buddhist heritage. This region is also home to a vibrant Catholic community whose identity formation has occurred in a way that involves complex engagements with Islam as well as Javanese culture. In this respect, local pilgrimage tradition presents itself as a rich milieu in which these complex engagements have been taking place between Islam, Catholicism, and Javanese culture. Employing a comparative theological and phenomenological analysis, this book reveals the deeper religio-cultural and theological import of pilgrimage practice in the identity formation and interaction among Muslims and Catholics in south central Java. In a wider context, it also sheds light on the larger dynamics of the complex encounter between Islam, Christianity and local cultures. "This finely crafted ethnography reminds us of the rich cultural traditions of Java, and its historical ability to constantly adapt to, absorb, and transform influences from outside. It also represents an important contribution to contemporary reality when pointing to ingredients that can be utilized in countering forces that seek to challenge the historical fabric of community in Java, and to provide the bases of reconciliation where tears have already appeared." Albertus Bagus Laksana, PhD (Boston College, 2011) is on the faculty at Sanata Dharma University, Yogyakarta, Indonesia; he is also a visiting lecturer at Loyola Marymount University, Los Angeles, California, USA. His previous publications (both in English and Indonesian) and research interests include various areas such as Christian-Muslim comparative theology, Asian theology, history of mission, religious pluralism, and encounters between religion and culture.